Dodman Lifting & Tipping machines provide a safe and effective method of elevating bulk product containers within your production facility. 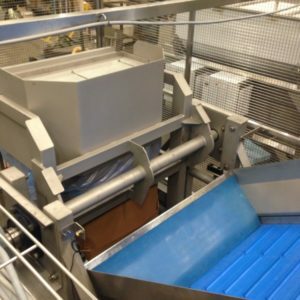 Dodman supplies a wide range of food tippers and lifts for the efficient decanting of produce from crates and bins directly into the food processing line. Our lifting and tipping systems are capable of safely lifting and tipping heavy containers to any elevation. These systems are safe and help reduce manual handling requirements. 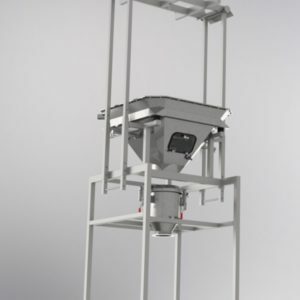 The lifting & tipping systems provide a quick and efficient method of receiving bulk produce ready for processing. The systems can lift and tip in one action, and can be built to lift almost any type of container. 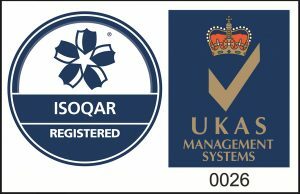 Dodman offers a range of standard solutions for many applications. 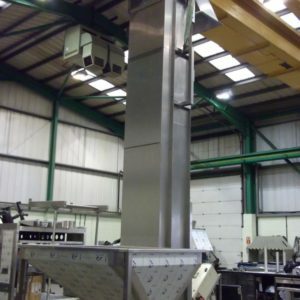 However, our in-house design capability allows Dodman to manufacture customised Lifting and Tipping systems to specifically suit your products and containers. 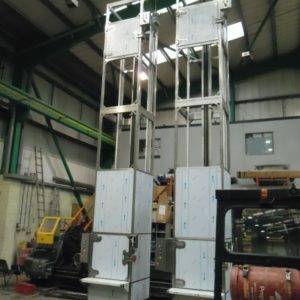 Whether you have an unusual product, container or lifting configuration we can take our basic lifting principles and deliver a customised solution to your lifting and tipping challenge. 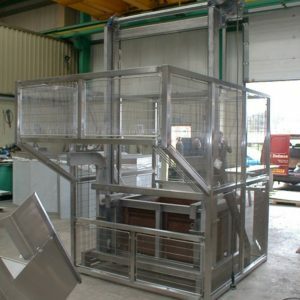 Dodman supply tippers for food processing lines that can lift crates, tote bins, Eurobins, Octabins or boxes. These units have a lifting capacity of up to 1500kg. 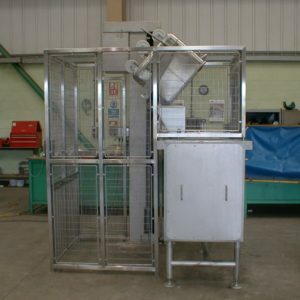 Dodman also supplies Tippers that can empty the product from the crate directly into the processing line. 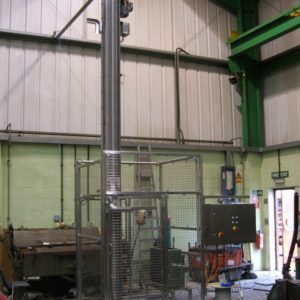 Dodman Lifting & Tipping machines are suitable for lifting loads from 150kg through to 1500 kg. Why use Lifts and Tippers? Small Footprint – The systems are designed to have a small footprint and can be slotted into tight working environments. Safe Handling – By removing the need for manual handling, the risk of injury in the workplace is greatly reduced. Mobility Options – Many systems can be made into mobile units, allowing greater operational flexibility. High Lift Capacities – Robust engineering means heavy loads can be elevated and deposited safely and reliably.